You can buy all our products directly here in our shop. If you require larger quantities, individual combinations (e.g. 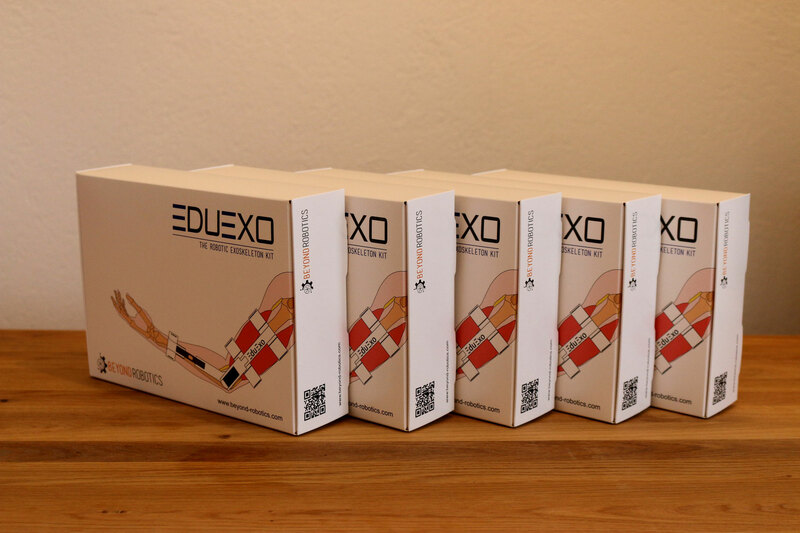 five EduExo boxes plus 15 additional handbooks for your classroom) or an official quote before you can order, simply write us an email to sales@beyond-robotics.com. Please read our payment and delivery information before placing an order. These are approximate exchange rates that can change on a daily basis. While we update regularly, please double check before ordering to avoid any surprises. The maker Edition for all DIY people. 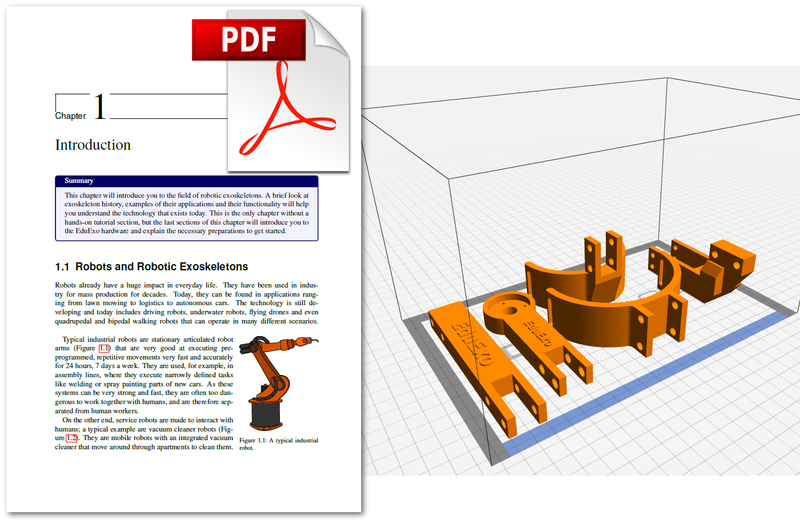 Contains a digital handbook (PDF) and the STL files of all EduExo parts. Requires access to a 3D printer, sewing, soldering and to order all components yourself (additional costs!). This is a personal licence allowing you to reproduce the EduExo for yourself. Reproduction, sharing, selling and other distribution is not allowed. If you are interested, you can buy a component set from us that provides you with all parts except the 3D printed ones. The boxed version of the EduExo Kit. 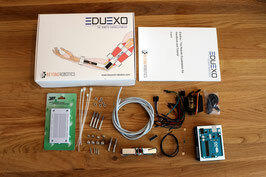 Contains all parts you need to assemble the EduExo exoskeleton and the handbook that contains the tutorial. Requires hex wrenches, a screwdriver, and soldering iron to assemble, a computer and USB (A/B) cable to program it and batteries to operate it (not included). You can include the muscle control extension by selecting it in the pull down menu. A variety of different size classroom sets containing several EduExo boxes. In addition to every classrom set you will get a slide deck and additional material (pictures and videos) that you can use to prepare your exoskeleton courses. If you require larger quantities or an official quote please contact us. You can also order additional printed handbooks together with a classroom set to provide more students with learning material while they work as a team to build the EduExo. All the components (motor, sensor, microcontroller, cables, screws, hook and loop fastener, printed handbook...) that you need to build the EduExo, but without the 3D printed and manufactured parts. 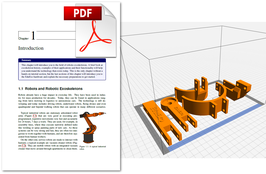 Requires the Maker Edition of the EduExo that includes the STL files! This set is for everyone who has the EduExo maker edition but who does not want to buy all the components from different suppliers. You get all the parts in one box. Two different versions are available: The first includes the Arduino microcontroller (Standard). The second comes without the Arduino (all other parts are included) to accommodate to the many makers out there who already have an Arduino. You can also buy it together with the EMG extension. 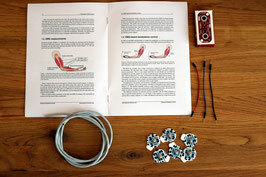 The Muscle Control Extension for the EduExo kit. 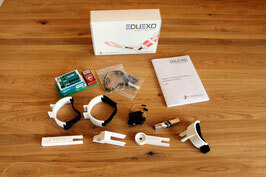 Requires the EduExo Kit and soldering equipment. 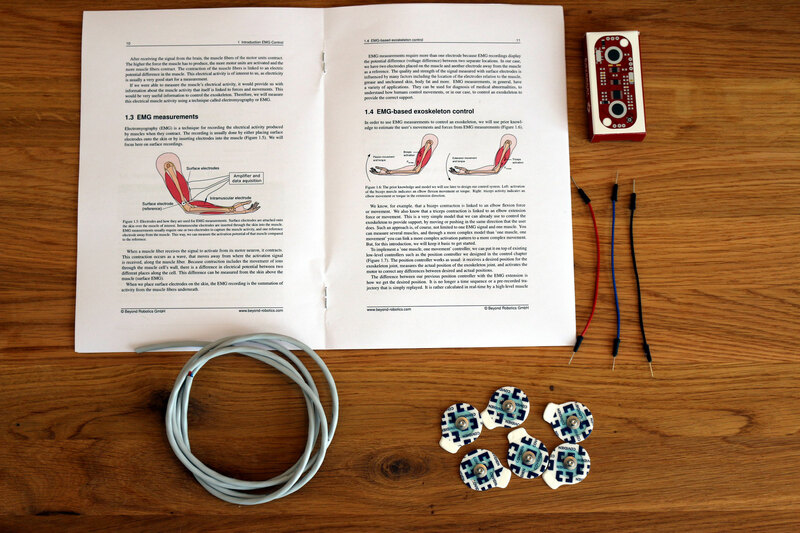 The extension adds a muscle activity sensor (EMG), a set of electrodes, cables and a new handbook with background information and tutorial to the EduExo. 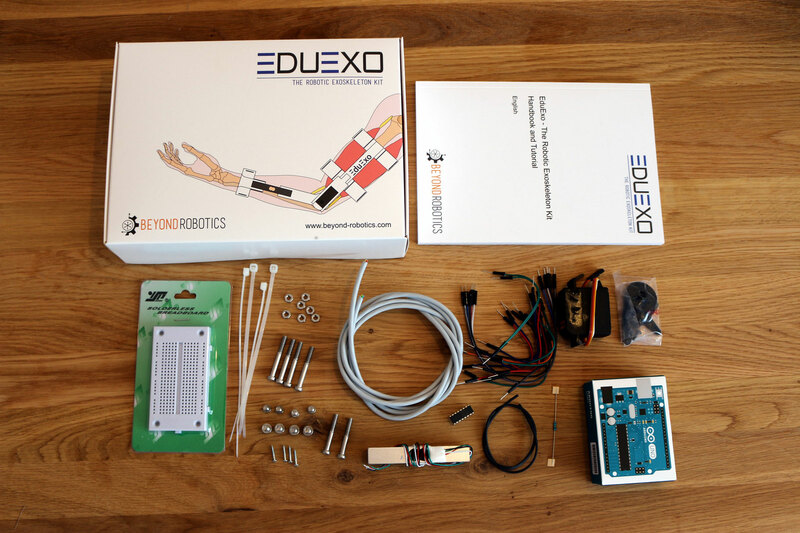 Can be bought together with the EduExo kit at a discount (to do so, select the option "Including Muscle Control Extension" when selecting the EduExo kit). You are in a hurry? If you add this option to your cart, we will ship your EduExo as a priority shipment. This will reduce international shipping time and enables tracking of your delivery. This price is in addition to the standard shipping fees that is added during checkout!